how to manage it? How to incorporate Big Data in your classes? 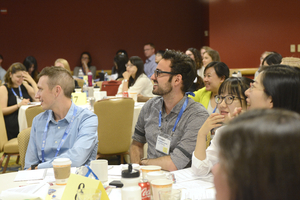 tutorials and professional development workshops meant to engage attendees in an exciting hands-on learning experience, delivering training on specific methods, pedagogy, tools, or software related to the conference theme. and the ugly. The day’s breakout sessions will be followed by a panel discussion with all breakout presenters. What are new research questions about work digitization? Big data and digitization of management – a new wave in the interdisciplinary research? When and how do we need to digitize businesses? Tanya Bondarouk is Professor of Human Resource Management at the University of Twente (The Netherlands), where she leads the interdisciplinary research about HRM, Technology and Innovation. Her research projects cover topics related to an integration of Human Resource Management and social aspects of Information Technologies, such as digitalization of the workforce and HRM, implementation of digital HRM solutions, robotization and workforce management. In this field, she has edited numerous special issues in international journals and twelve scholarly books. Since 2006 she is involved in organizing International Academic Conferences on digital HRM. When and where are big data methods appropriate? How and when big data relate and do not relate? How do we use big data to support theory? To develop new theory? How do big data and evidence-based research relate? Dana Minbaeva is a Professor of Strategic and Global Human Resource Management at Copenhagen Business School. Her research on strategic and international HRM, knowledge sharing and transfer in MNCs has appeared in such journals as Journal of International Business Studies, Journal of Management Studies, Human Resource Management, and many others. She received several national and international awards to research achievements, including the prestigious JIBS Decade Award 2013. 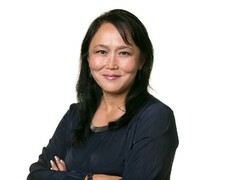 Dana Minbaeva is the founder of the Human Capital Analytics Group. How do I do this? What conditions must exist? What tools do I need to manage and measure Big Data? How do we successfully advance big data as a research tool? 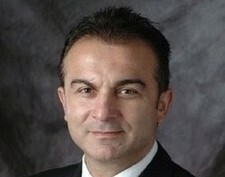 Dr. Dursun Delen is the holder of Spears and Patterson Endowed Chairs in Business Analytics, Director of Research for the Center for Health Systems Innovation, and Regents Professor of Management Science and Information Systems in Spears School of Business at Oklahoma State University. Prior to his 17 years in academia, Dr. Delen worked for a consultancy company as a research scientist where he led analytics projects funded by federal agencies, including DoD, NASA, DoE, and NIST. Dr. Delen has published more than 100 peer reviewed research articles and co/authored eight books/textbooks in analytics related topics. He regularly chairs tracks/minitracks in reputed IS conferences and seminars, and serves on more than a dozen academic journals as editor-in-chief, senior editor, associate editor and editorial board member. Please note, you do not need to separately register for doctoral consortia or active learning workshops. As long as you are registered for the conference, you may attend whichever session(s)you would like.